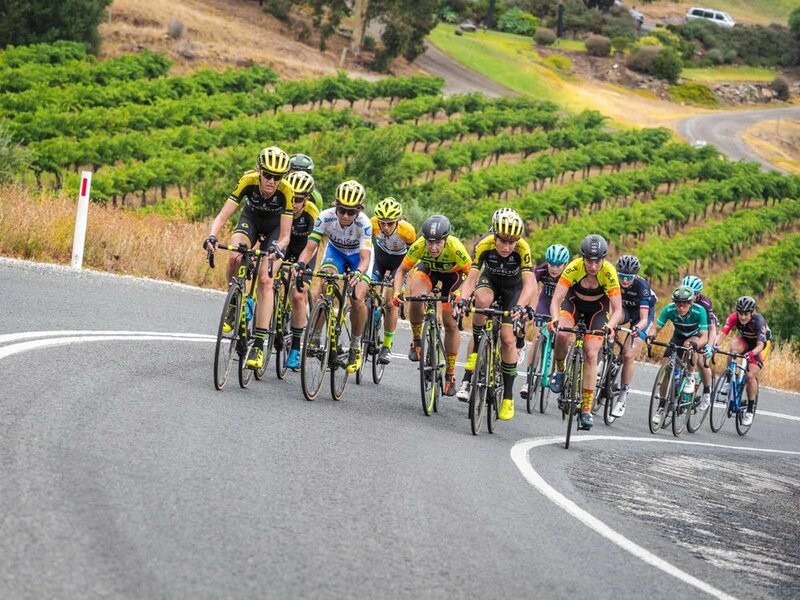 2019 Women's Tour Down Under Route guide - LA VELOCITA. Late morning Saturday September 8 the Women’s Tour Down Under (WTDU) route announcement was quietly sent into the world. The format remains unchanged; three road stages and a final criterium stage to begin the women's pro cycling calendar. The 2018 WTDU was an enthralling contest with a mixed parcours creating close and exciting racing. A substantial bump in prize money for stage wins for 2019 (now equal money for stage victory in the men’s race) will help draw another quality field. It’s shaping up to be a bumper race as Australians hot off National Championships battle with the high profile internationals. Despite that, it’s a race that faces major growth limitations. Its exposure is limited by a lack of TV coverage and being run days before the men’s event instead of concurrently - except for the final Stage 4 criterium. That said, it has a few advantages over the men’s race that make it better to watch. Access to the race is far better for the WTDU, both in terms of getting to and from the race and being freer to move around when you’re there. There’s still the barriered starts but it’s substantially more relaxed in general. The road stages tend to stay in one regional area and don’t cover such large distances. It’s not just possible, but easy, to see the start, middle and end of the race. The racers are exceptionally accommodating and friendly too. Anyone looking to inspire the next generation of athletes by meeting today’s stars can do so easily around the WTDU. Cycling is known for its fan accessibility and women’s racing is the most accessible. The race route is arguably better than the men’s event too. What it lacks in spectacle and circus it makes up for in quality, with a higher proportion of nicer roads. The men’s race has to meet its commercial obligations and start, finish, or pass through the council areas that pay for the privilege. That means large chunks of dull transitional kilometers. The women’s race is shorter and much less bloated. So let’s have a look at what race organisers have served up. The event kicks off from South Australia’s strawberry and pastry capital; the German historic town of Hahndorf. It does 2 race neutral laps before rolling outta town and thundering down Onkaparinga Valley Road and through the frequent towns of this region. It heads through Lobethal before turning onto the gorgeous Kenton Valley Road into Gumeracha where the first spring point awaits just after exiting the town. The first QOM point (and third when the race rolls around again) is shortly after on the pinchy Martin Hill Road. The riders head to the outskirts of Mt Pleasant before heading south towards Birdwood and onto Mt Torrens. The second QOM points come after Charleston with a straight shot up Graeber Road then it’s back into Lobethal and onto the same course from earlier in the day. Sprint point 2 and QOM 3 appear again after Gumeracha but the course deviates into Birdwood for the finish. It’s a slightly uphill drag to the line, perhaps giving the lighter sprinters a slight edge over the powerhouse riders. For the spectators: This region is stuffed with towns, eateries, and local tourist attractions for anyone wanting to make a day trip around the race. Anyone wanting to ride to the race from the city can expect a lot of beautiful roads, but expect to rack up a decent amount of kilometers if you want to see the start and finish before heading home. Stage 2 sees a hilltop finish on Menglers Hill for the second year running and a major GC sorting. It kicks off from Nuriootpa and run through Greenock and Tanunda. There’s a buffet of straight roads in the early going so don’t expect much action until the race swings east into Angaston where the first sprint point will be contested. The peloton heads south into the undulating roads down to Eden Valley before turning and powering up the first QOM on Eden Valley Road. It’s back to Angaston next where the second sprint points will be fought before heading onto the Nuriootpa-Greenock-Tanunda loop again where the race began. The pace will be savage as the teams jostle for position to make the sharp turn to the base of Menglers Hill. The steepest gradients will sort the peloton at the base of the climb as the strongest climbers will want to force splits before the steepness eases 2km up. 2017 saw a fantastic battle between Katrin Garfoot (UniSA-Australia) and 3 women from her former team; Lucy Kennedy, Amanda Spratt and World Champion Annemiek Van Vleuten all of Michelton Scott. Garfoot heroically took stage honours and the race lead into Stage 3. For the spectators: The hill finish will make for excellent viewing as the GC contenders fight for critical seconds. Today’s course is well designed for those wanting to see the start and finish as there’s only about 10km separating them. The fast movers could feasibly catch the start, both sprints in Angaston, then zip straight to Menglers for the finish. Race organisers have served up an excellent third day of the race. It’ll take the well-used Stirling finish from the men’s race and add in some beautiful roads in the surrounding region. Nairne hosts the race start before doing a loop through the outskirts of Littlehampton, through Balhannah and then Oakbank before going back towards Nairne. Hahndorf will have the race roll through it again but this time the peloton heads south to the first sprint in Echunga. It’s onto Flaxley before the Whites Road QOM and a descent before the flat run back to Echunga and slight drop into Mylor. Here’s where the race will get angry. It’s a gradual drag up the gorgeous Aldgate Valley road (one of the best in a region of great roads) before popping out into Aldgate and charging up to Stirling. The race rolls right through before exiting and hitting the flying descent of Longwood Road. It’s back onto Aldgate Valley Road again, this time about half way up, before the uphill drag will decide the stage winner. The parcours points to a potentially exciting finish. It’ll be several kilometers uphill to the line but it’s not steep, giving punchy climbers and sprinters a chance to take the stage. The men’s race has used this finish several times and seen puncheurs, climbers, and sprinters all battle it out together. For the spectators: It’s a beautiful area, close to the city, with towns everywhere. What more could you want? Whether you’re on a bike or on foot, there’s plenty to do around the race. Cyclists can easily head up the Old Freeway and hang around in Stirling to catch the action or roll around to numerous other spots in the area. There’s not much to be said about this stage. It’s a 46km criterium around the eastern parklands. The eeeeever-so-slightly downhill finish makes this a near-guaranteed sprint finish unless a plucky breakaway does something extremely unlikely. It's the last chance saloon for riders to take a victory before moving on to other races interstate and overseas so it will be viciously fought to the end. For the spectators: This Sunday night is a huge event in Adelaide's East End. It's the biggest lycra party of the year and thousands turn out for city criteriums. You just have to be there!